The Samsung Galaxy S10, along with the S10e, S10+ and S10 5G, is the latest flagship smartphone to arrive from Samsung and the Galaxy S10 is one of the 'all-singing-all-dancing' members of the S10 family with premium specs and a premium price tag to match - £799 (on Amazon UK at the time of writing). Promising to set a new standard for smartphone users, the Samsung Galaxy S10 has a lot to live up to but with a triple rear camera, maximised screen-to-body ratio thanks to the Infinity-O Display and small bezels, AI camera and a new ultra-wide lens (a first for the S Series), the Galaxy S10 isn't doing too bad so far. The rear cameras on the Galaxy S10 consist of a Telephoto 12MP PDAF f/2.4 lens, Wide-angle 12MP Dual Pixel AF f/1.5-f/2.4 lens and an Ultra Wide 16MP FF f/2.2 lens. Optical Image Stabilisation is built in along with 0.5-2x optical zoom and digital zoom up to 10x. On the front is just the single 10MP Dual Pixel AF f/1.9 camera (on the Galaxy S10+, this is upgraded to a dual shooter) and the camera is built into the 6.1-inch Wide Quad HD+ display rather than being a notch or dewdrop. Powering the device is a pretty decent 3400mAh battery. 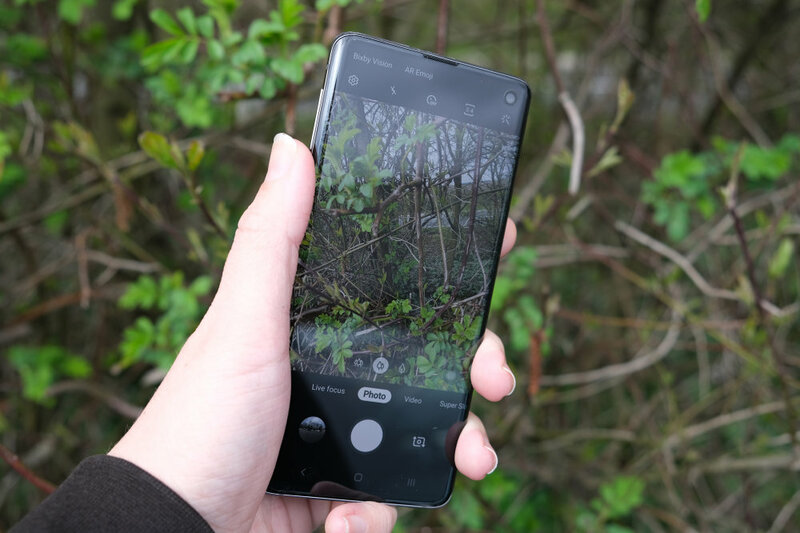 Those who have used Samsung Galaxy smartphones previously will find the camera user interface familiar with cool features such as Live Focus (bokeh creator) and a scene optimiser built in. Having the choice of three lenses and 0.5-2x optical zoom is excellent. Plus, you can capture videos in 4K. 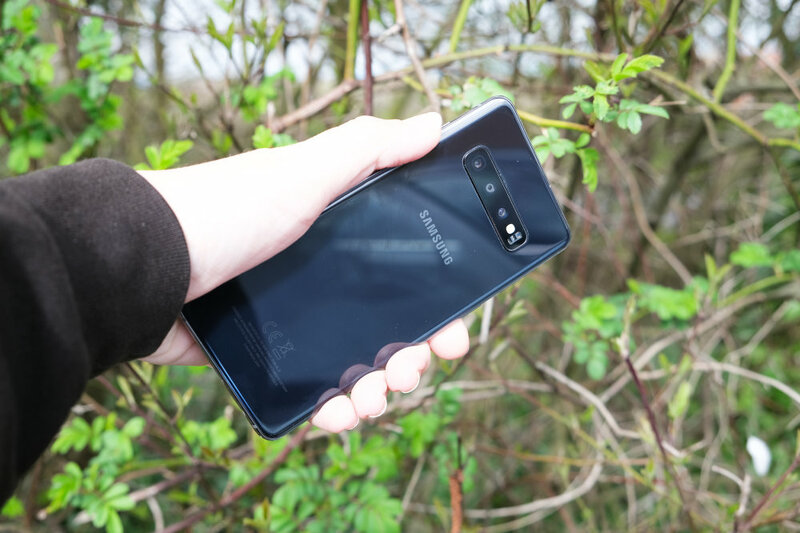 We will, of course, be commenting more on the performance and handling of the Samsung Galaxy S10 as we put it to the test but for now, have a look at the images/videos below and let us know what you think of the Samsung Galaxy S10 in the comments below.